In late 2018 the US Federal Communications Commission (FCC) and Innovation, Science and Economic Development Canada (ISED Canada) informed Barrett Communications that the Barrett’s 4050 HF SDR transceiver was authorised. Achieving official product recognition confirms its innovative design is compliant with stringent international standards. It also demonstrates our continued success in the North American market following steady sales of our 2050 and 2090 HF radios. CEO Andrew Burt was particularly pleased. ”Barrett Communications has always considered these [American and Canadian] markets to be significant. We will continue to seek relevant product approvals and maintain our commitment to our customers here”. But why is FCC and other official marks of approval so key to the North American HF radio market? What can ticking all the right boxes mean for your business long term? What do the FCC and ISED Canada do? In the US, the FCC has to issue equipment authorisation for devices capable of producing a radio frequency imported for commercial sale have. This is because these products can disrupt radio services operating in a frequency range of 9 kHz to 3000 GHz. Exclusions include devices imported for the federal government or solutions operating under digital logic that are exempted by Section 15.103 of the FCC’s regulations. This ensures all US communications equipment meets safe operational and manufacturing standards. The FCC has to approve all communications equipment sold commercially in the US. ISED Canada monitors radio equipment imports through its interference-causing equipment standard. This allows the authorities to check the radio frequencies produced by communications technologies to ascertain if they will cause disruption problems. If the equipment is authorised by ISED Canada and the manufacturer signs a Supplier’s Declaration of Conformity, the solution can then be marketed to Canadian organisations. Why is official authorisation through these organisations so valuable? Meeting the FCC’s and ISED Canada’s requirements for commercial sale are key to continued success in the North American market – and beyond. This is because matching the tough product technical and performance regulations in America and Canada is seen as a form of certification elsewhere. For example, other regional markets such as Central America and the Caribbean see FCC and ISED approval as a mark of a quality product. The authorisation process in both countries is developed along stringent guidelines to drive innovation in the design and manufacturing of radio transmission devices. 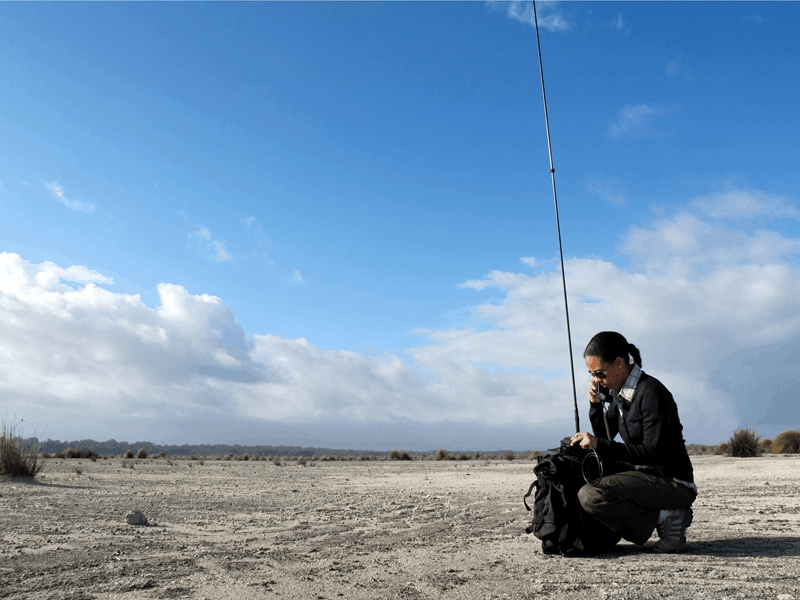 One of the key goals is to minimise transmission interference through reduced radio pollution. This can only be achieved through using efficient, leading-edge radios – which is why Barrett’s 4050 HF SDR transceiver was authorised. The 4050’s software-defined operability offers a new dimension in the North American HF radio market. What are the innovative features of the advanced 4050 HF SDR radio? Barrett’s 4050 HF radio uses software defined signal transmission to reduce interference. This delivers clearer communication ability over a greater distance than possible with comparable outdated HF radio infrastructure. The software also simplifies users’ control of frequency modulation and bandwidths, providing unprecedented flexibility and integration capabilities with other radio equipment. Digitally-defined HF communications also integrates secure email, data transfer and telephone connectivity. This enables operators to communicate more reliably through any means, even linking onwards to the international telephone network and internet. A final advanced feature is integrated desktop, tablet and mobile applications (for iOS, Android and Windows) that allow users to control the Barrett 4050 HF radio from their personal device. This product will continue the success we have experienced to date in the North American market. 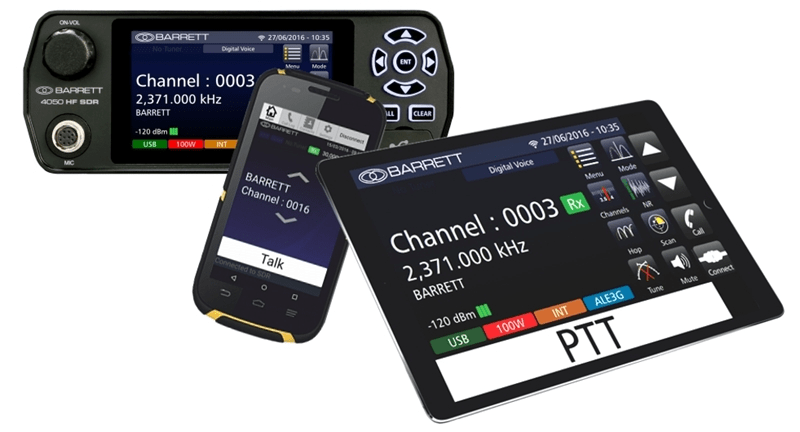 If you want to find out more about Barrett’s 4050 SDR transceiver or any other commercial HF radio equipment we supply, contact the Barrett sales team for information today.